Maintaining a beard is not a simple or an easy job. It requires a lot of attention and care and if you lack that in your beard care routine, it inevitably gives rise to a situation we know all too well, the itchy beard. The skin on your beard can start becoming dry and flaky and gives rise to what is known as the beard dandruff. Moreover, your beard can become coarse and prickly with regular trimming since the ends can become quite rough and stiff. If you want to grow out your beard, one of the best things you can do is to invest in good quality beard oil. 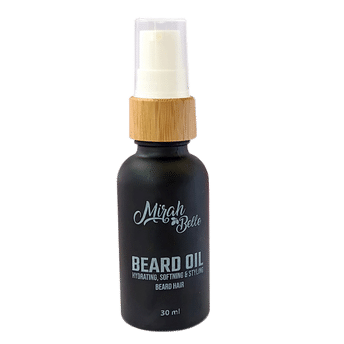 The Mirah Belle Beard Oil is the best organic beard oil, and it is definitely the one that works. 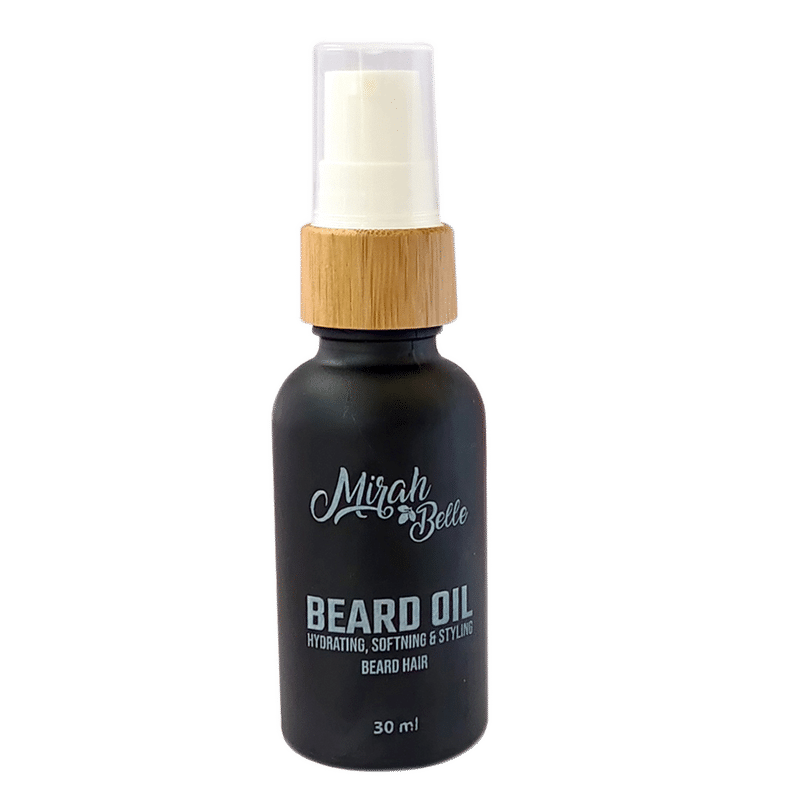 With the best of natural, organic ingredients, this beard oil is sure to reduce itching and irritation of the skin, dry flakes, coarse beards and helps in growing your beard faster. Argan Oil: Argan oil can make your beard softer, thicker and shinier and can help to repair and smooth the rough ends of the beard. Argan oil contains Vitamin E and can help to boost cell production, helping your beard to grow longer. It can help to moisturize the skin as well to prevent dry flakes. Jojoba Oil: It can help to nourish your hair by acting like the natural sebum of your skin and can help to retain moisture to keep your beard softer. It helps to add volume and make the beard shiny and healthy. Pumpkin Seed Oil: Pumpkin seed oil has proven to accelerate beard growth. Hemp seed Oil: With its ability to penetrate the skin, it moisturizes the hair and is rich in Vitamin A, E and C, Beta Carotenes, proteins and Omega-3,6,9 fatty acids. Juniper berry Oil: It can help provide antiseptic benefits and cleanse the skin to reduce bacterial infestation. Bergamot essential Oil: With hair growth stimulating properties as well as anti-microbial and antiseptic properties it can reduce infections. The disinfectant property can also reduce beard odor formation.